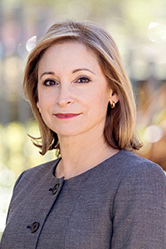 Dr. Marialyn Sardo is a Board Certified Plastic Surgeon with more than 20 years experience in plastic, cosmetic and reconstructive procedures in San Diego, California. She brings an artistic hand and a woman’s perspective and sensitivity to her refined technical skills. 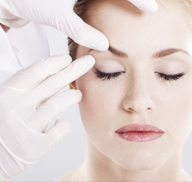 Center for Beauty offers cosmetic and rejuvenation procedures with an emphasis on beautiful, natural results. Located in the Ximed Building on the campus of Scripps Memorial Hospital in La Jolla, California, we provide a full range of services in a warm, professional, comfortable and confidential setting. We pride ourselves on giving personalized care, listening to your concerns and providing the information you need to make an informed decision. Popular procedures at Center for Beauty include Breast Augmentation, Breast Lift, Breast Reduction, Abdominoplasty, Liposuction, Mommy Makeover, Face and Neck Lift, Mini-Facelift, Eyelid Surgery, Excess Skin Removal after weight loss, and a full range of non-invasive procedures such as chemical peels and injectables (Botox, Dysport, Juvederm, Voluma, Belotero, Bellafill, Kybella, and spider vein therapy). We invite you to call us to schedule a free consultation or request more information: 858-452-6226.